Brittney Gwartney has been studying and training in the art of dance for over twenty years. She began her training at Rhythmic Notions Dance Studio in Owasso, OK. After a few years, Brittney was asked to join the SRO Competitive Dance Troupe where the group earned numerous awards at regional and national competitions. After graduating from Owasso High School, Brittney continued her education at Tulsa Community College where she received an Associates in Arts Degree. During this time, Brittney taught various dance forms including ballet, tap, jazz, lyrical, musical theatre and contemporary along with training under the direction of dance instructor and choreographer, Michele Ritter. After joining Youth Dance Oklahoma, she was a part of the special group of dancers invited to perform before the show of the Giordano Jazz Dance Company in Chicago, IL. She then received several dance teacher scholarships that opened doors to further her education. 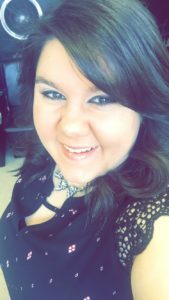 Brittney obtained a Bachelor of Fine Arts in Dance Education and a Bachelor of Science in Elementary Education from the University of Central Oklahoma. It was at UCO where Brittney’s dream of becoming a certified dance teacher took off. She completed courses in ballet, modern, jazz, tap, History of Dance, Creative Dance for Children, Stage Lighting and more. It was during this time that she also was chosen to perform in several choreography showcases within the UCO dance department. Brittney’s love and passion for the art of dance continues to grow each and everyday and she hopes to inspire her students to follow their dreams as she followed hers!